An example of an order for Groomsmen Ties. Silk ties in jewel tones, all hand printed with the original too shea design "hawn", finishing highlights then applied by hand painting. 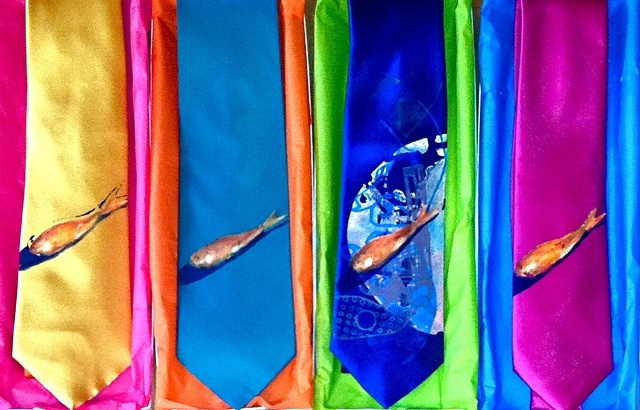 We will work with any color scheme you provide us, you may choose any design from our collection to be featured on the ties. We also will work with you on custom designs, such as a hand drawn portrait like the one used on our pint glass favor..